In aneffort to raise the global visibility of Taiwan’s outstanding libraries, toinspire morale in public library staffs, and to increase head librarians,supervisors, and outstanding librarians’ understanding of international librarydevelopments, in 2017 National Central Library (NCL) withthe support of the Ministry of Education arranged for two delegations to travelto the U.S. and Canada (9/23-30) and Singapore (12/3-8) to tour and learn frompublic libraries there. After the visits, on January 1, 2018 NCLheld an Outcomes Conference on Taiwan Public Library Delegationsto the U.S., Canada, and Singapore. 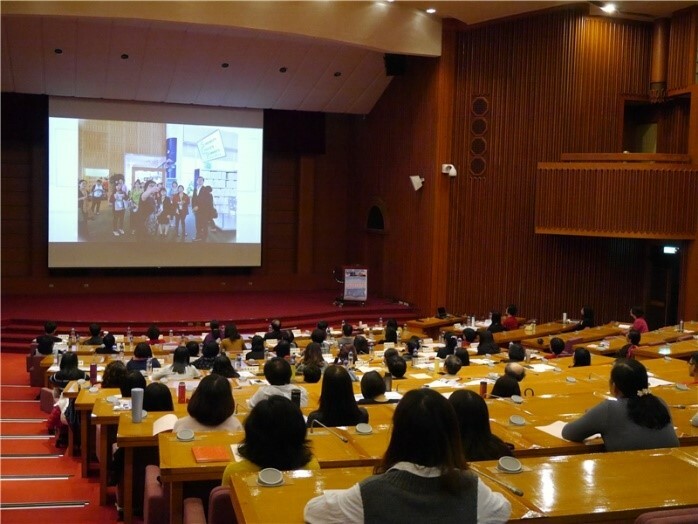 Delegates were invited to share what theylearned, with the hope that it would be a useful reference for future planningand managing of libraries in Taiwan. 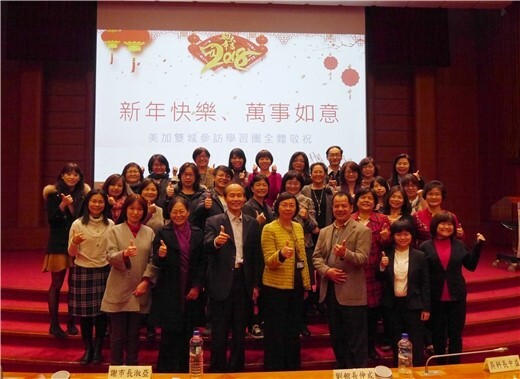 The Ministry of Education’s Life-longLearning Department Director Yueh-li Huang (黃月麗) was inattendance and spoke. Sheencouraged delegates to pass on the professional knowledge gained on the toursto fellow librarians so that more colleagues learn and understand. Director-general Tseng (center) and delegates at the outcomes conference. Delegates and other librarians actively participated in the conference.